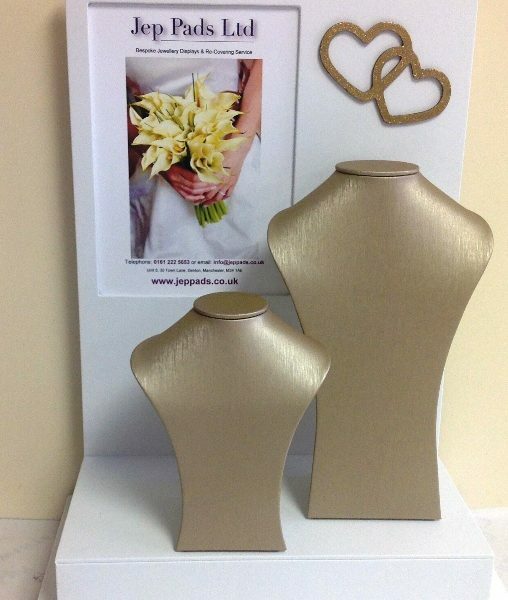 Jep Pads, supplier of Jewellery displays. Incorporating over 40 years of experience supplying to the jewellery industry! We hope that you are able to find all the information you need on our new improved website, and we would love to receive feedback if you can’t find what you are looking for. If we can be of any assistance please contact us on 0161 222 5653, or email info@jeppads.co.uk. We would be more than happy to discuss your requirements and send you some ideas or a catalogue. You are always welcome to visit us at our workshop and showroom. 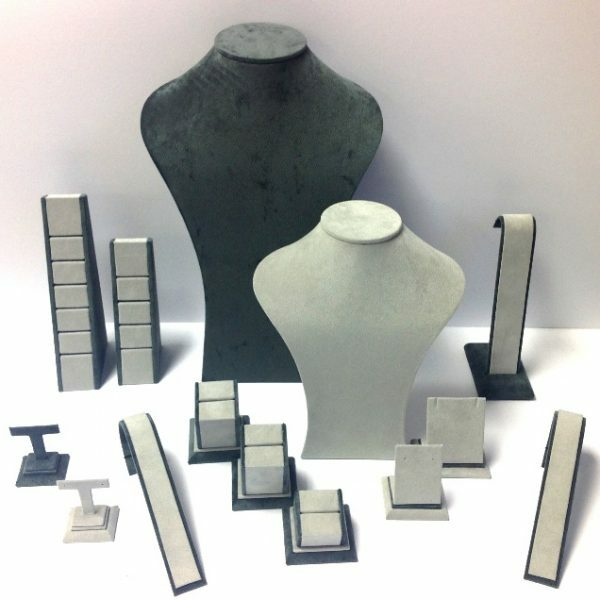 See our ‘Jewellery Display Products’ page for different types of display items. 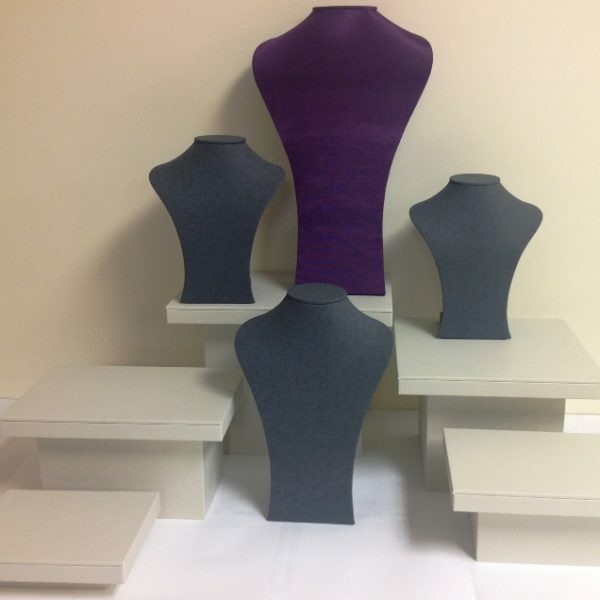 The Jep Pads team will work with you to create your ideal display. We can provide practical advice to help you choose materials, colours and styles to make best use of your space. Contact us and a member of our friendly team can guide you through your requirements and propose some great ideas. Jep Pads manufacture in a Manchester based workshop, using quality components. We can create a display in virtually any shape, size and colour – generally if you can specify it, we can bring it to life! We work with you to make exactly what you need to get the best out of your jewellery display. 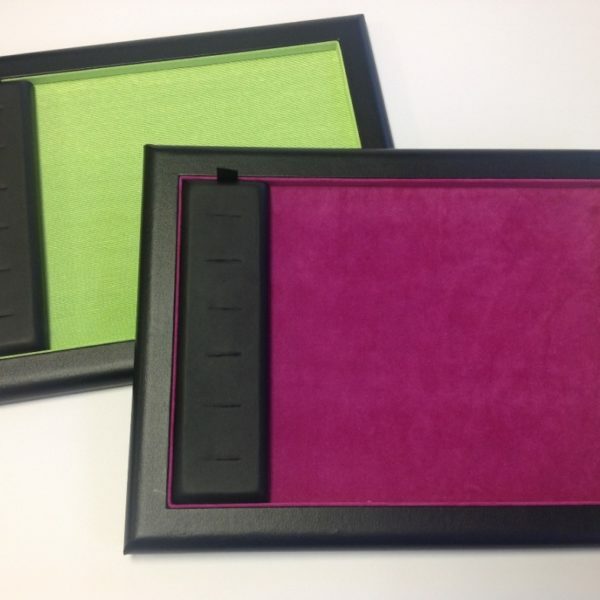 Jep Pads believe that good quality jewellery display pads don’t need to be thrown away, we therefore offer a re-covering service to keep costs down for our customers. 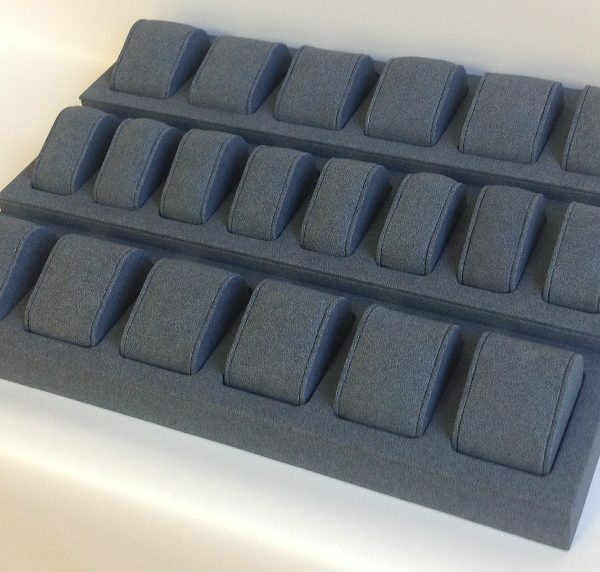 We can re-cover all of the standard pads that are available in our catalogue, and we are more than happy to evaluate and quote for display pads that originate from other suppliers. We can also re-cover your baseboards, side boards, pelmets etc to refresh your windows and showcases. If you would like a copy of our current catalogue and price list please get in touch. Our catalogue contains a range of our most popular jewellery display pads and other items, but we have the capability to make far more than you will see in our brochure or on our website. Everything in our catalogue can be made in the fabric and colour scheme of your choice, to create a truly unique jewellery display that suits your space and requirements exactly. We are proud of our designs and the quality of our work. If you would like to see our jewellery display products before you buy, then you are welcome to visit us at our Manchester based showroom. We can help you to design a solution using example products, so that you can see exactly what your display will be like – much better than a CAD drawing, as you can see how practical the jewellery display will be! Our team are motivated to provide the best jewellery displays, and we are always on hand to provide advice and support. Rest assured that if you need any after sales support you can speak to a member of our team who dealt with your order and not a remote sales person, you have peace of mind that we will know the details of your order and can provide the best assistance. Excellent - Great service, good price, great products and choice, very helpful staff...A few oohs & aahs, when people have seen the goods. The customers often comment on the colours we have in the window. Bright colours make more of an impact. We were very happy with our pads, Tracy was very helpful and understood exactly what my requirements were. She even completed them to a tight deadline for us. Very happy customers! Lots of customers have commented on how nice the colour was and it brought them into the shop....the team are very helpful and friendly. We even got our order earlier then we thought! Extremely Professional, We wanted a particular colour fabric and Tracy seemed to go out of her way to get it for us. The samples she sent us were perfect. Great service from start to finish....The jewellery stands aren't cheap but as usual you get what you pay for. They're very well made and the company provide a good customer service. You wouldn't get that with a cheap import. Our displays have never looked as nice as they do now. Customers have commented on how eye catching the window displays are. 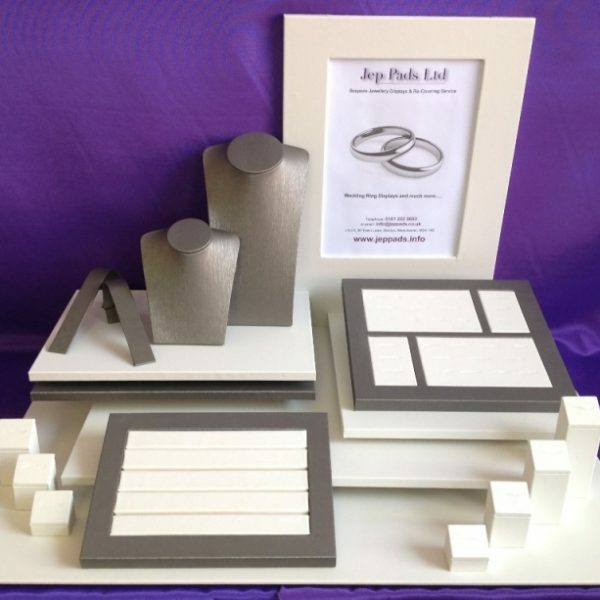 We will be using Jep Pads for all our display needs in the future and wouldn't hesitate to recommend them to anyone. Thanks again for all your help, we are so pleased with all of the elements of the window display that you supplied. The quality of your products and the customer service is without fault.